Dr. Esin was AMAZING. She Really took her time and listened to my health concerns and seems to be interested infinding results. This was my first visit with her and must say it was a nice one. I think I may have found my new PC Dr.
Dr. Esin was AMAZING. She Really took her time and listened to my health concerns and seems to be interested in finding results. This was my first visit with her andmust say it was a nice one. I think I may have found my new PC Dr. This was the first time that I had an annual physical fully clothed. Doctor is friendly, but I left feeling likemy healrh was not too important. This was the first time that I had an annual physical fully clothed. Doctor is friendly, but I left feeling like my healrh was not too important. Dr. Eshamu Esin only sees patients ages 12 and older. Eshamu Esin is a skilled and accomplished family physician caring for the Marietta, GA community. 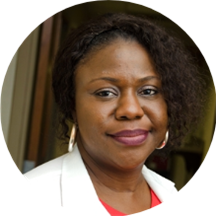 Dr. Esin attended the University of Benin School of Medicine, where she received her medical degree. Dr. Esin is a part of WellStar Medical Group West Cobb Medical Center and is board certified by the American Board of Family Medicine. Patients trust her expertise because she consistently provides high-quality care that leads to positive and lasting health outcomes. She is committed to helping her patients enjoy a healthier lifestyle. She works with each one to discuss ways they can make better choices for their health. Dr.Esin is NOT accepting any new patients for ADD/ADHD medications. Dr. Esin was very friendly to me and my daughter (who was the patient).She made my daughter feel at ease. Her explanations were thorough and she gave clear direction on follow-up procedures. The rest of the staff (front desk, nursing, thephlebotomist) were also very personable. I plan to see her when it's time to schedule my own appointments. Great experience. She is great! She treats me like a real person who has real feelings. Some doctors dont do that. She listened to all of my concerns, addressed everything in the appointment and was so helpful!! The nursing staff is great! She was awsome! She explained everything and allowed me to ask many questions. She was very understanding, and patient with me. She is my new primary care physician. ?????? She is wonderful! She listens and does not rush you , she has the best bedside manner. I love her and would recommend her to everyone I know. Very friendly. She seemed to care for my needs and concerns. I would definitely come back to see her. I have never been so pleased with a doctor's office before. The staff and doctor were amazing. I would highly recommend this practice. She was very awesome. I felt comfortable with my choice by choosing her as my new doctor. Clean, and quick waiting time. She talked to me like I have been seeing her for a while (which I liked) but when I expressed some knee pain and she said I am 21, don't worry about it right now.